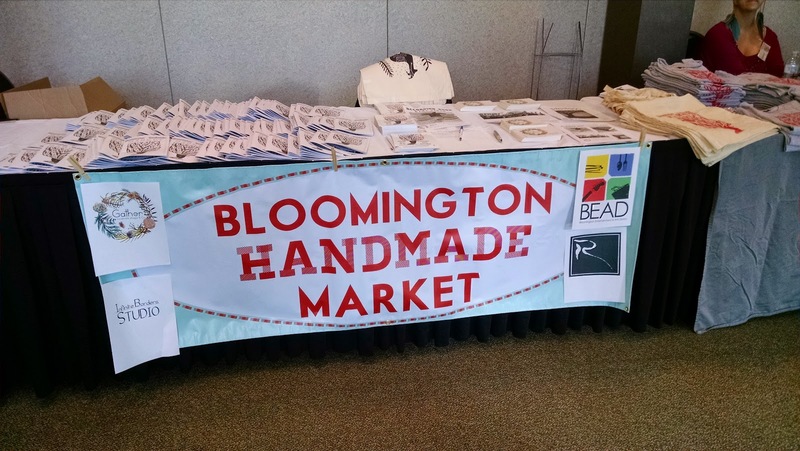 This past Saturday was the Bloomington Handmade Market at the Bloomington Convention Center. Admission is free, parking is free (always a good thing in metered downtown), and the event goes from 10am-5pm. I arrived about 10:30am. It seemed like the entire city showed up for this. Every year, it looks like more and more people attend (no matter what time I visit), which is great! Although it does make it a little crowded in this one room. Hopefully at some point the market will rent out more space at the convention center -- there are several more rooms on this floor that can be opened up to become one giant room. 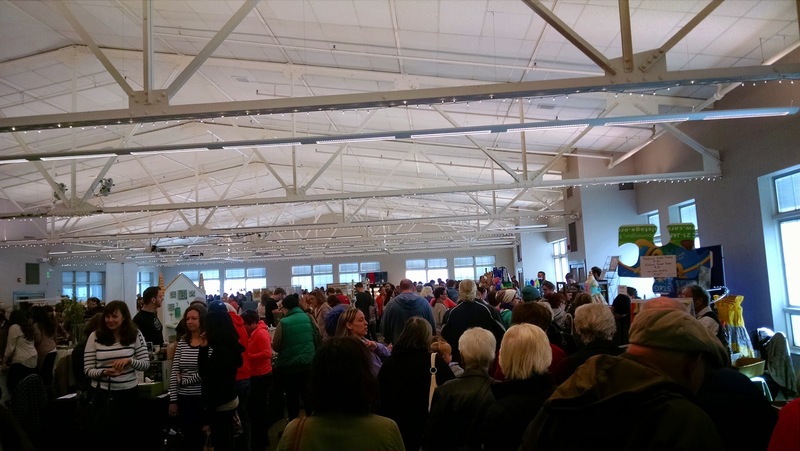 It would definitely ease the crowd congestion, and maybe they would even consider offering more vendor booth spaces, too (the market is application-based and vendors have to be accepted in order to be able to rent a booth here -- right now it's capped at 50 vendors). 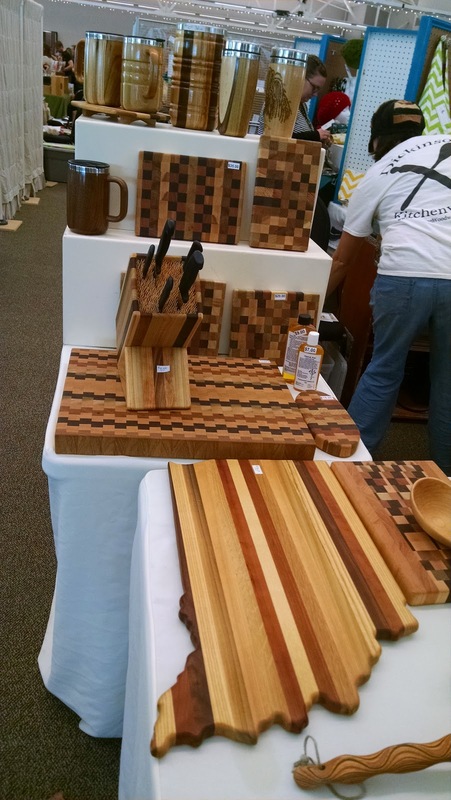 The Handmade Market is a great place to go for gifts or to get ideas for gifts. 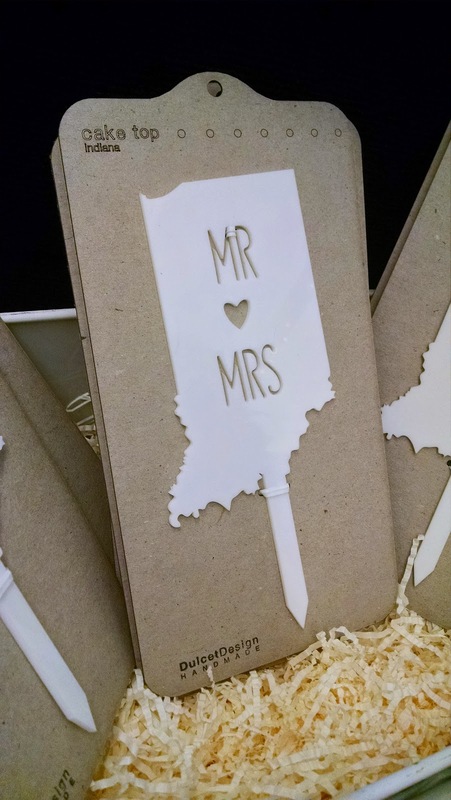 People in this town (and all across the country -- this isn't just for Bloomington sellers) are so creative. There are all kinds of workworking, soap, candles, jewelry, clothing, fine art, and novelty products available. 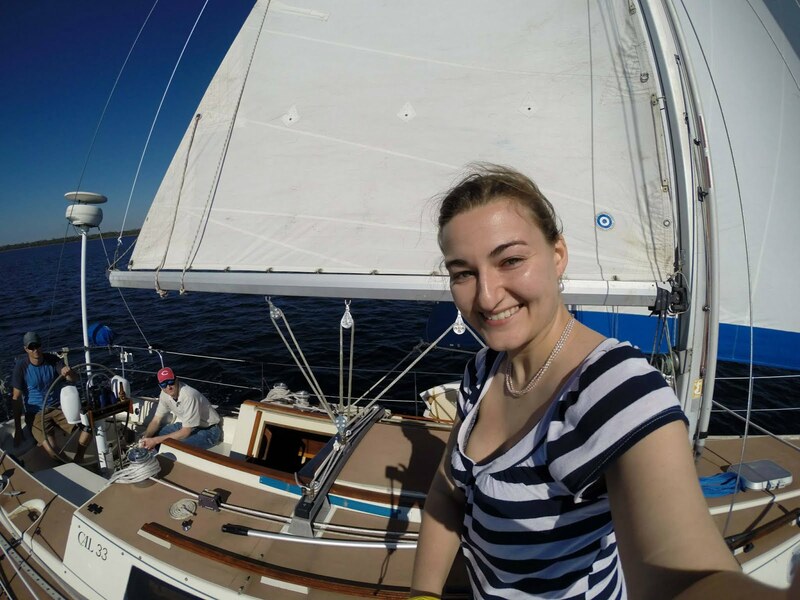 It is a fun experience just to tour each booth to see what is offered. I took photos of some of my favorite products (where I could -- unfortunately, not all vendors allow photography, which is a damn shame). 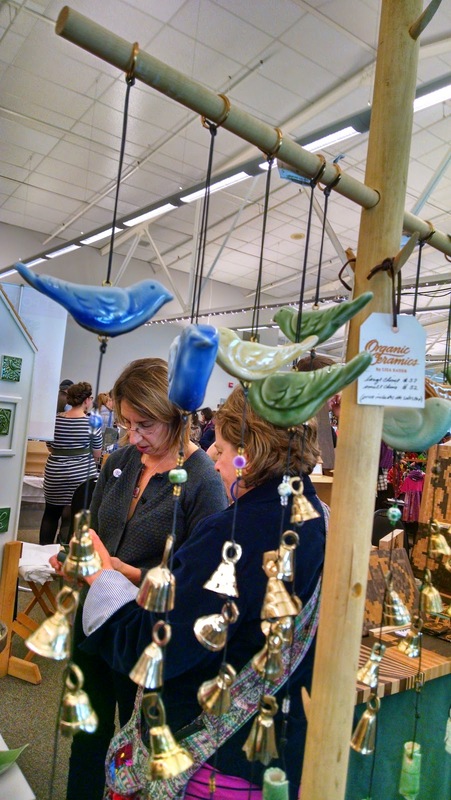 One of the first booths we came to sold beautiful ceramic pieces by Organic Ceramics. I liked these wind chimes, and they also had those birds separately, as well as some dishes and decorative tiles. 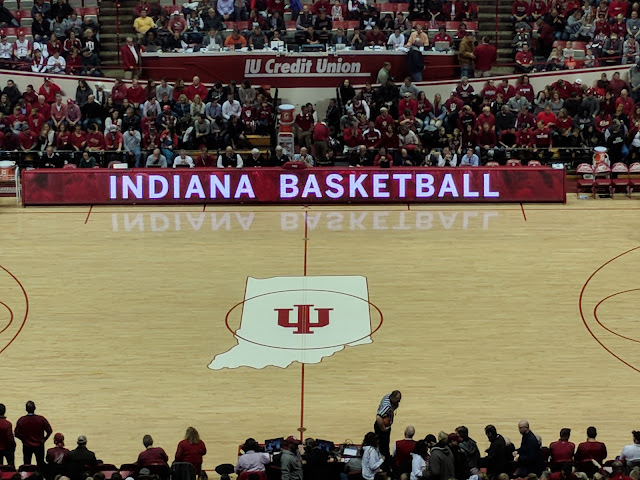 I loved the Indiana cutting board from Dickinson Woodworking. 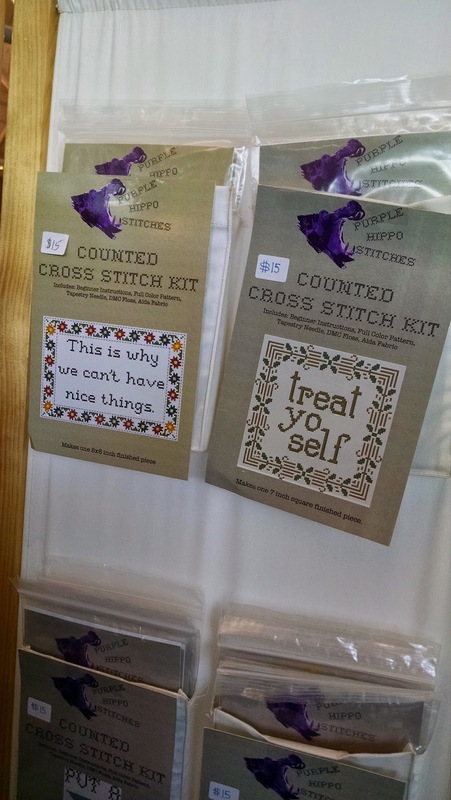 The Hoop & Needle had a bunch of funny (and off-color -- warning: some of the photos at that link have potentially inappropriate words, depending on who and where you are) cross stitch patterns. 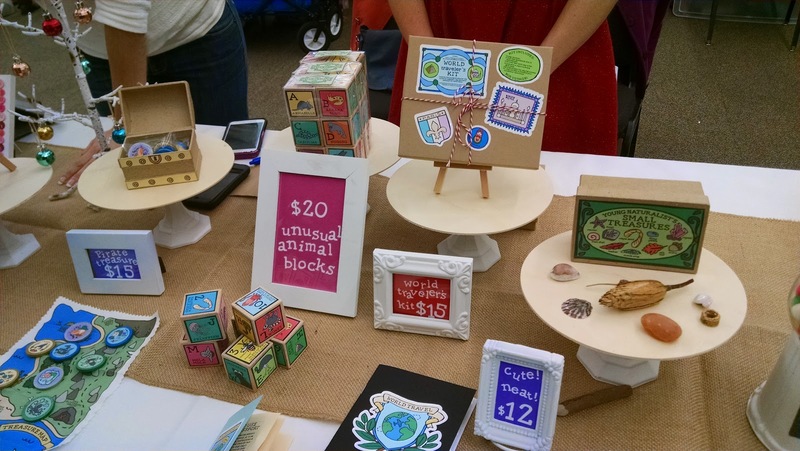 Some of the coolest kids' toys I've seen are designed and made by Jean Elise. I wish I had had most of these toys when I was growing up. They are really awesome. Hopefully she'll still be around in a few years so I can buy her stuff for myself future kids. 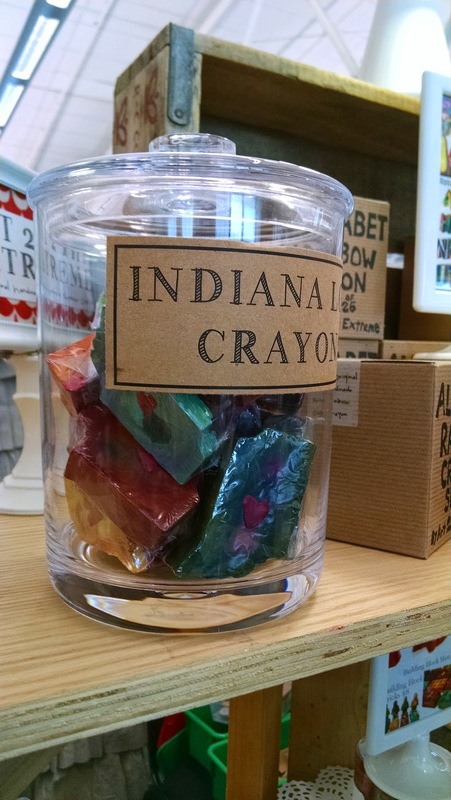 I just thought these Indiana shaped crayons by Art 2 the Extreme were too cool. 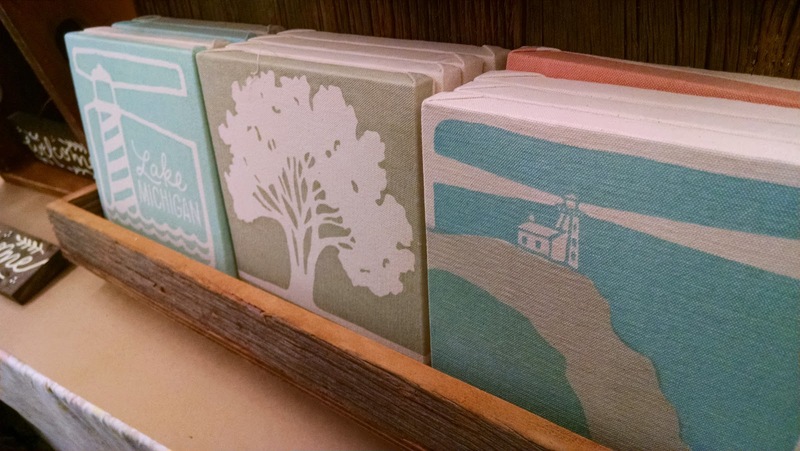 A Michigan-based artist, Marcy Davy, had a couple of Great Lakes/Michigan/lighthouse prints on canvas that I liked. She also had a ton of other prints on canvas as well as prints on paper and some wooden plaques. My second favorite (although maybe it's a tie) was the kitchen goods booth from 1337motif. 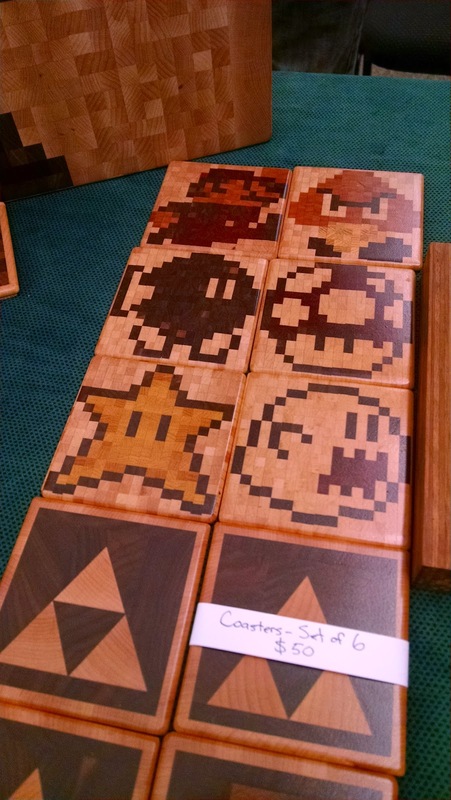 A double play on words/concepts that I really appreciated, I thought these Mario coasters were awesome (he also makes all kinds of other geeky coasters and cutting boards -- Space Invaders, Batman, etc). 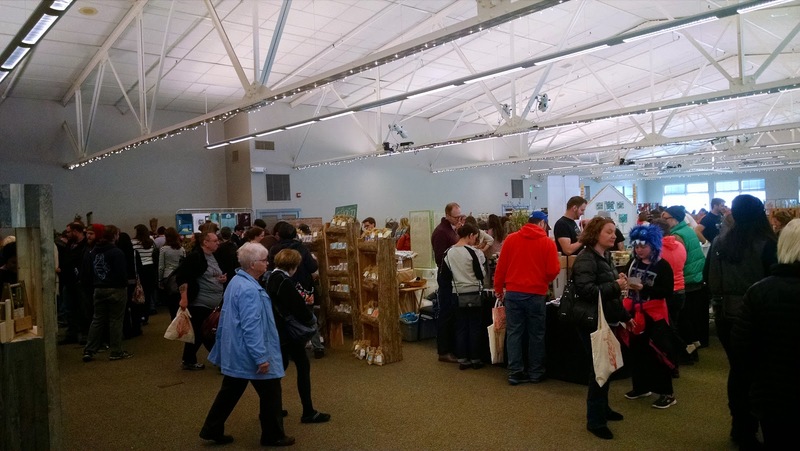 If you missed the Handmade Market but want to check out most of the products displayed there in person, you can actually find almost everything at Gather! (It's no coincidence that the owner of Gather and one of the organizers of the Handmade Market are the same person -- Talia Halliday!). And put the market on your calendar for next year (it's always near the beginning of November).